This post has been long overdue! 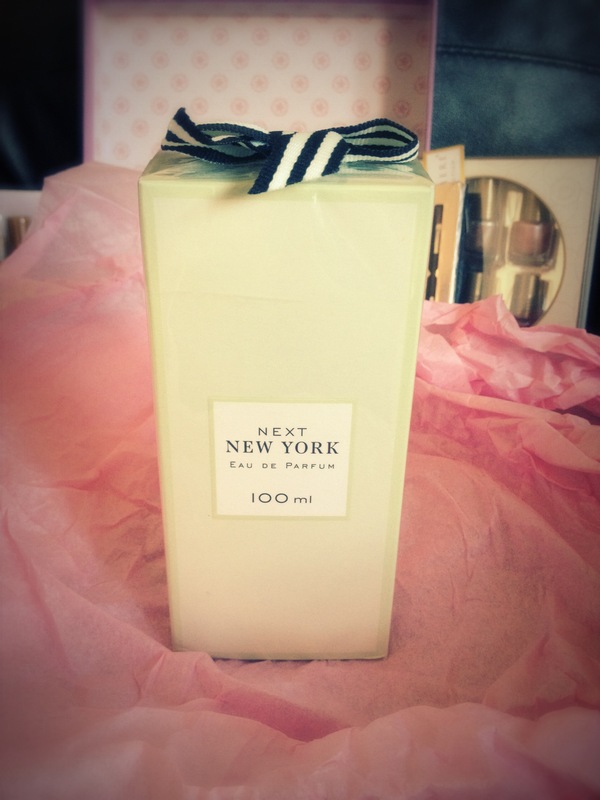 I’ve been meaning to do this ever since I received the lovely package from NEXT for winning their recent NEXT BEAUTY Competition! 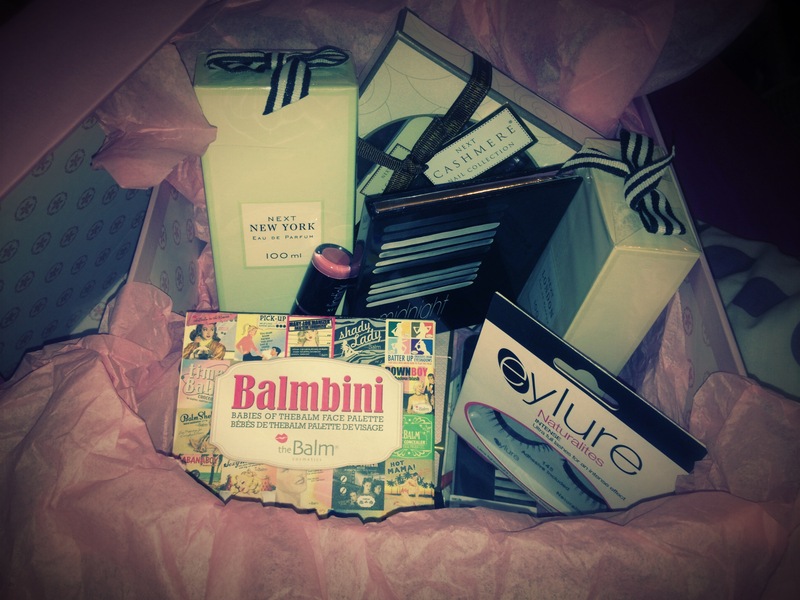 Anyway, so the prize was a NEXT Beauty Hamper to enjoy and/or giveaway and here are the lovely prizes I received! The hamper is packed full of lovely beauty products from the NEXT Beauty Range including eyeshadows, lipsticks, glosses and Fragrances which I will eventually rip into and swatch/review! But for now I wanted to host this giveaway so that you get your hands on some of the goodies too! Here is what I’ll be giving away to you lovely lot! So to give you an idea of what you will be receiving here is a brief description of each item!! This smoky palette is part of the NEXT AW12 Collection, and I don’t believe its on sale yet so I’m not sure how much it retails at, but here is a sneaky peak of what it looks like. 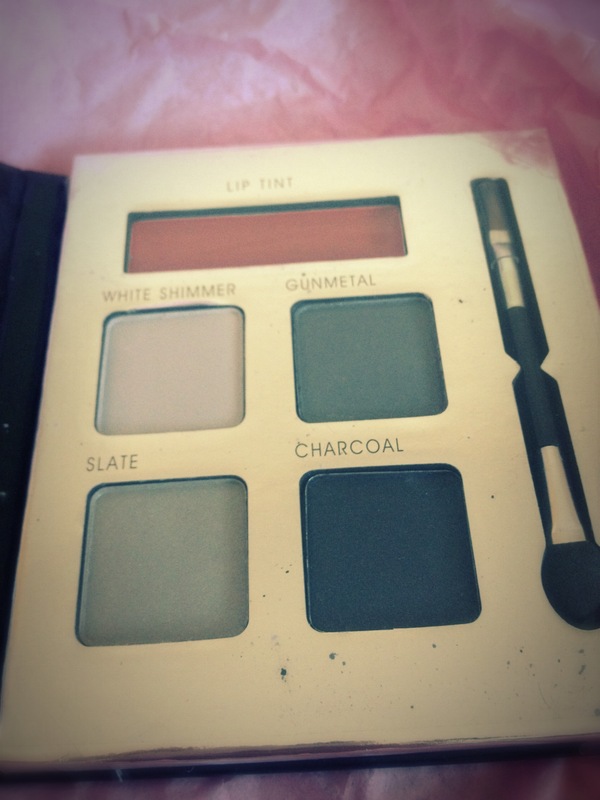 The palette contains 4 eyeshadows in shimmery white, a gunmetal grey, a beigey grey and a charcoal black. The palette also comes complete with two tutorials for creating an everyday or evening eye. A set of lipglossses containing two squeeze tubes and 2 lip gloss wands in a range of Pinks, Mauve’s, Sheer and Fuchsia. 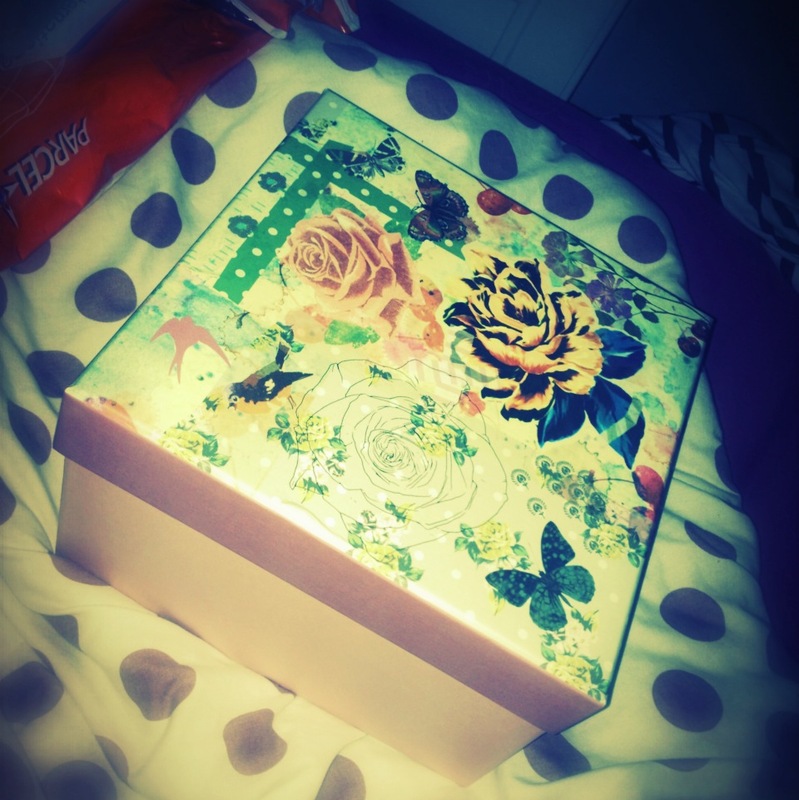 Again another perfect little gift with its cute box packaging! 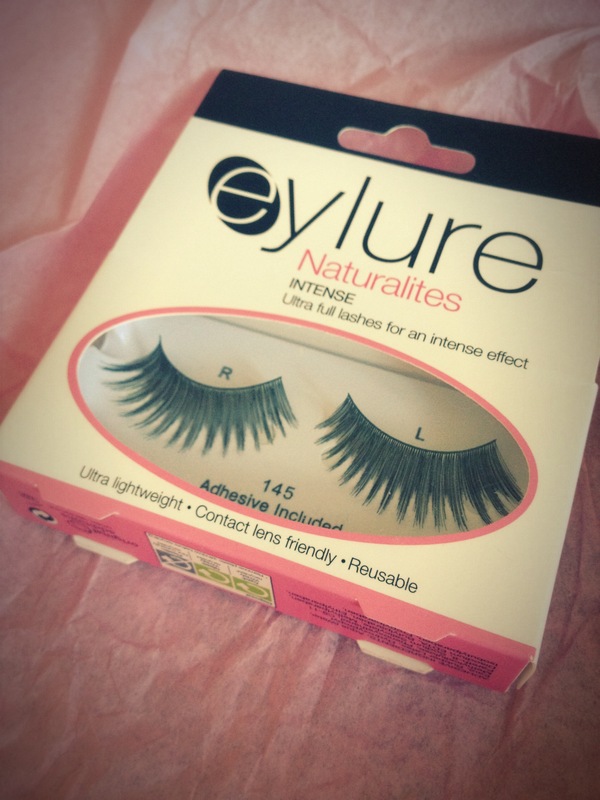 Set of Eyelure lashes for the evening! These lashes look amazing, very dramatic, unfortunately I will not be able to pull these off as they are virtually twice as big as the size of my eye hehe! 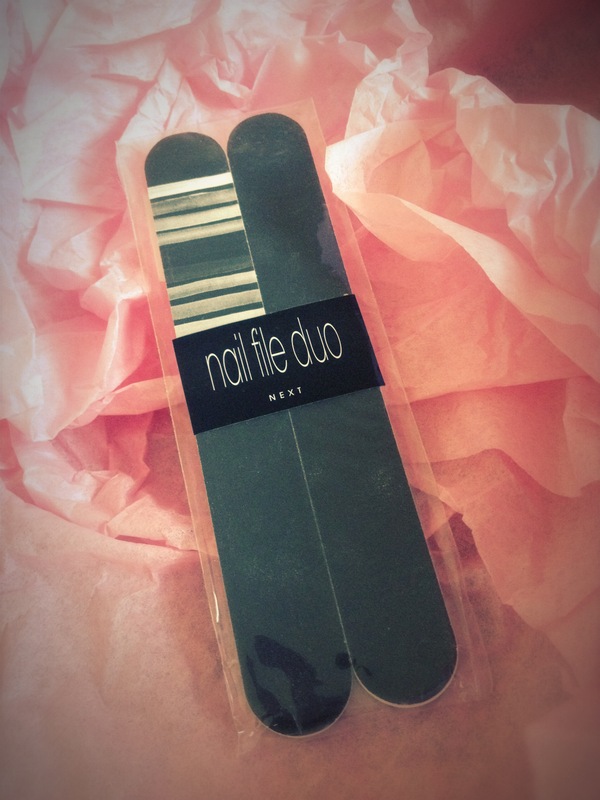 A set of two NEXT nail files to help keep those nails in tip top condition! To enter all you have to do is be a follower of my blog and follow the options given in the Rafflecopter widget on my Facebook page, I will pick and announce a winner on Saturday 15th August 12. I hope you enjoy the giveaway and good luck guys! Tags: AW12, Beauty, Competition, GIVEAWAY, makeup, Nail Art, Nails, NEXT, NEXT BEAUTY. Bookmark the permalink. Congrats on winning the Next competition – love your nails! Lovely giveaway, wish I could enter but sadly im not on facebook and have no plans to join. Congrats on winning the competition. Congrats on your win. With all that effort you put to your nails, it was well deserving of you to win! Yay! All the gifts look fun. I’m interested to see those lashes on you.